San Francisco: Self-published / Chill House, 2003. Trade Paperback. 39p., very good slim trade paperback in blue pictorial wraps. Bay area San Francisco native. Jazz musician. 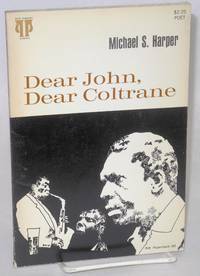 The 'Chill' of the publisher's name most definitely a jazz chill (as opposed to a horror chill). Mystery story written in poetry form. London: The Wilcox Organisation, 1950. Magazine. 20p., semi-coated alkaline paperstock throughout, printed double-column, scattered b&w photographs in the running texts, 11x8.5 inch staplebound wraps. A beat-up copy: abraded spine with half-inch split to tail, rust to staples, some edgewear, but complete, clean and handleable. 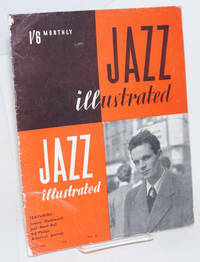 Cover features clarinetist Johnny Dankworth; four of the eight stories within concern Jazz in New Orleans. 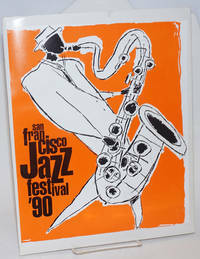 San Francisco: San Francisco Jazz Festival, 1990. 9.5x12 inches, folder with poster from the festival affixed front cover containing a 4 panel press release, a set of photocopied news stories and reviews from 1989 bound in plastic binder, 8-panel brochure folded to 4.25x5.5 inches, and a 32p. folded tabloid newspaper/program for the festival, some toning to inner folder and press release and short tear to folder otherwise very good. New York: Mercury Record Corporation, 1950. Huge folio leaf printed in two colors and folded once to make a sleeve for a 12" phonograph record: we have this printed sleeve only. 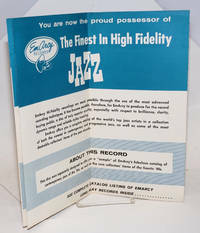 It lists sixty artists, from Dinah Washington to Cannon Ball Adderly; and on another side lists many many recordings. Item has been folded once again, vertically, and will be sent thus (i.e., shipped as an 11.5x6 inch folder). Good clean copy. Berkeley: Lark's Club, [195-?]. Personal business card of hostess Leola K. Lee from the jazz club on Sacarmento Street in Berkeley. Notes that television is available. Very good. Crown Point IN: White Cliffs Media, 1989. Spiral_bound. xvii, 137p., illustrated with photos, music notation, later printing of the first edition in 9x5.5 inch pictorial wraps fastened with white comb spine. Clean and sound, a nice unmarked copy. Performance in world music series no. 3. San Francisco: Tachyon Publications, 2004. [ii] 42p., 5.5x8.5 inches, very good first edition booklet in stapled light-blue pictorial wraps. 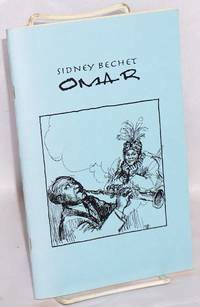 Excerpted chapter from jazzman Bechet's autobiography "Treat it Gentle" concerns his Creole grandfather in the Bayou of Louisiana. New York: BVC/Bregman, Vocco & Conn, 1940. Sheet_music. 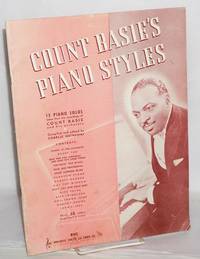 32p., foreword, 15 piano solo transcriptions, lightly-handled, mild wear to covers, sunning at spinefold otherwise good music book in pink pictorial wraps featuring Count Basie at the piano. San Francisco: WIM Pub, 1985. Paperback. 50p., very good second expanded edition trade paperback in pictorial wraps. 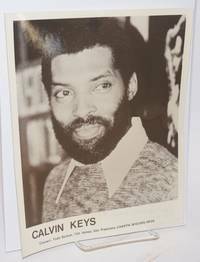 Expanded posthumous publication of poetry by a 27 year old Los Angeles jazz musician, poet and activist who died too soon of lupus. Los Angeles: Sun & Moon Press, 1993. Paperback. 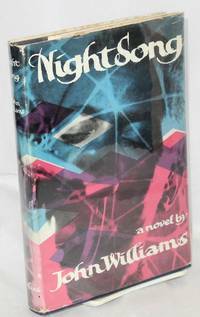 204p., first printing, wraps.Very good. 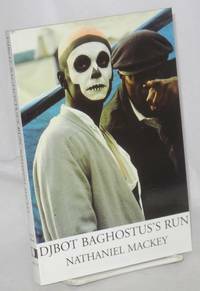 The second volume of Mackey's jazz fiction, following Bedouin Hornbook. New American Fiction 29. London: Robson Books, 1981. Hardcover. 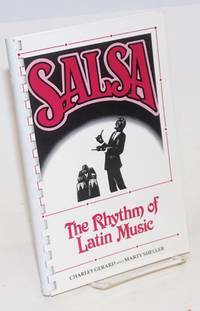 239p., introduction, bibliography, discography, index, illustrated with b&w photos, very good first edition in boards and unclipped dj. 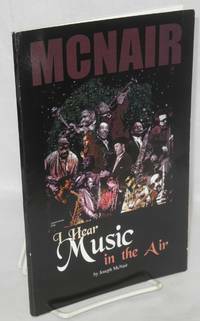 Chapters on Louis Armstrong, Fats Waller, Coleman Hawkins, Jack Teagarden, Art Tatum et al. 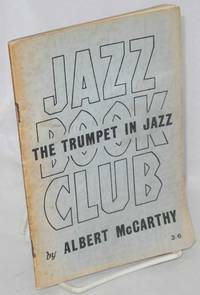 London: Citizen Press for The Jazz Book Club, 1945. Pamphlet. 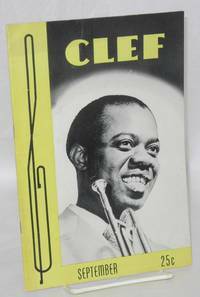 83p., 5x7.25 inch pamphlet; introduction, a chapter on Louis Armstrong, New Orleans trumpeters, small group trumpeters, great, lesser and swing soloists, discography. Stapled blue wraps with browning and foxing at edges and spine, staples badly rusted, a good-only copy. New York: Collins, 1962. Hardcover. 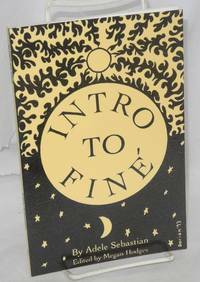 191p., light foxing otherwise good first UK edition in boards and unclipped, worn dj. African American author's second book. n.p. : Self-published by the author as Asili Pres, 2010. Paperback. 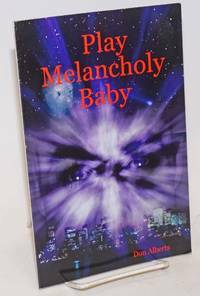 112p., poetry illustrated by the poet/artist's digital art, very good first edition trade paperback in black pictorial wraps. Poems and art portraits celebrating great jazz musicians. Los Angeles: Popular Programs, 1950. Magazine. 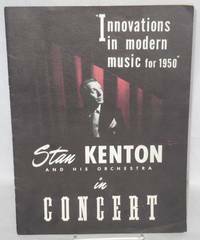 [16p] includes covers plues four-panel playbill from February 15, 1950 stapled into centerfold, 8.5x11 inches, b&w photos, bios of the players, essay by Kenton at rear "What;s With Modern Music?" very good in stapled black pictorial wraps. Performers included June Christy and Pete Rugolo. Redwood, NY: Cadence, 1980. Magazine. 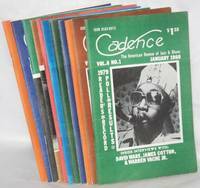 Twelve issue run of volume six, various pagination, reviews, news, photos, interviews, discographies, very good digest-size magazines in stapled pictorial wraps. Issue number 4 for April is misnumbered on cover as 11. By Otto, Albert S., editor, Weir Watson, Royal Stanton, Frankie Lohman, Charlie Bodeen, Harry tate, et al. Santa Monica: Otto-Marble Publications, 1946. Magazine. 32p., 6x9 inches, reviews, news, opinion, ads, resources, photos, small staple hole on front cover at fore edge otherwise a very good copy of the digest size magazine in stapled pictorial wraps. Harry Tate cover photo of Satchmo. 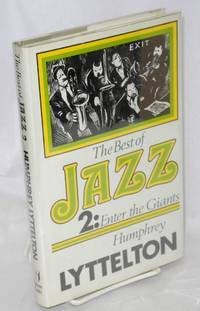 Stories on Frederic Delins, Woody Herman, Duke Ellington. San Francisco: Cafe Du Nord & Jazz at Pearl's, no date. Three small postcard-size handbills, 4.25x5.5 inches, advertising the transgendered jazz vocalist at Cafe Du Nord and Pearl's, two heavy stock cards and one paper handbill (with creasing) featuring the singer's image on the front of each. Pittsburgh: University of Pittsburgh Press, 1970. Trade Paperback. 88p. African-American writer, native of Brooklyn.